A warrent has been issued by the Guardia Civil for the person who set Bedar on fire last Saturday. Police have refused to identify the suspect but say that patrols are actively looking for the person and they expect an arrest later today, although Europa Press breaking news has said that the person has now been arrested and charged. The person has been reported to be a A.F. (69), who set fire to the hills after using a radial saw to cut metal sheeting in his property. He is to be charged not with arson but with negligence causing a wildfire, which according to Diario de Sevilla could result in him having to assume the costs of the operation and up to five years in jail. It’s nice to know that my sources were correct! Police are also investigating whether another fire set at the same time in Antas was the work of an arsonist. An Infoca team continues to patrol the mountains looking for “hot spots”, points where the vegetation retains heat and which could reignite. 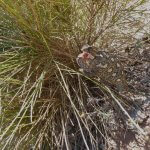 This entry was posted in Blog and tagged bedar, fire, los gallardos by David. Bookmark the permalink. AS RESIDENTS OF BEDAR, CAN WE PLEASE SAY A BIG THANKYOU TO ALL THE SERVICES! EVEN THOUGH THE FIRE CAME VERY CLOSE TO OUR HOME, WE STILL HAVE OUR CASA IN SPAIN! Seconded! Their work was incredible. our mountain in Bédar was on fire 10 years ago, and we were very grateful then that the firebrigade did a great job. Now , with this big fire we thank them again for preventing bigger losses. A huge "thank you" from all the Bedar residents to:- Enfoca. "La Mili", Guardia Civil, Protecion Civil and every single one of the people involved. All night saturday we could see the lights and hear the chainsaws etc. of the brave men who were working in complete darkness and very, very close to the flames to cut fire breaks in very difficult terrain. They are true heroes. Hope the flames have settled down ..